​Protect your renters. Protect your rv's. 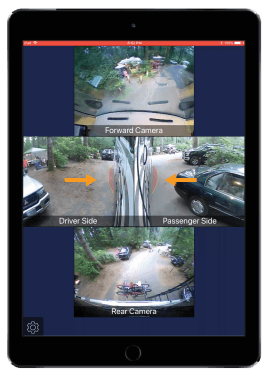 Road-iQ acts as your digital spotter. Navigate through tight corners and sharp turns. Back into that tight spot with supplemental camera views and advanced backup indicators. Take the guess work out of lining up your water, propane, and electrical hookups with 360° Surround View. 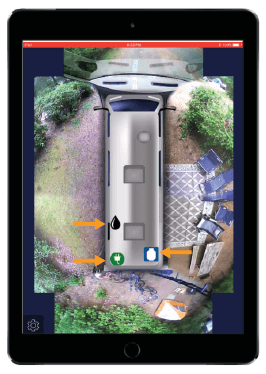 The RV Guardian mobile app allows RVers to monitor up to 2,000 diagnostic codes per minute, receive maintenance alerts based on vehicle usage, and track hard braking, hard acceleration, and other safe driving metrics. Be alerted to potential hazards in your blind spots when changing lanes. 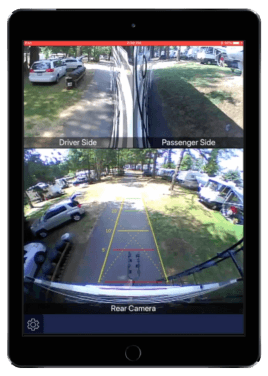 Advanced vehicle recognition gives drivers of all experience levels the tools they need to stay safe. We have been leading innovation in the automotive safety market for over 20 years. Road-iQ is a subsidiary of the Eastern Company, a 160 year old, publicly listed Tier 1 automotive supplier serving several leading automakers.